It’s the new year, and you’ve just started your next app or side project. After spending some time thinking through your use cases and end user experience, you recognize how important data storage will be. Several concerns come to mind. The first is that the sheer volume of your data is more than likely to increase in the future. The second is that evolution is inevitable. Business demands will change, and you need to be ready to change with them. Thirdly, you operate in a test-driven development style. You certainly don’t want to be held up by your database. At this point, you know that a relational database isn’t the best option for what you’re trying to do, so you consider using a NoSQL solution. You know that graph databases are known for their performance, flexibility and agility, but how can a graph database handle the volume of data connections you’ll need to make use of? Well, as the only NoSQL database category that prioritizes these data relationships, graph databases provide all the flexibility of a NoSQL database with optimized performance to make use of connected data. 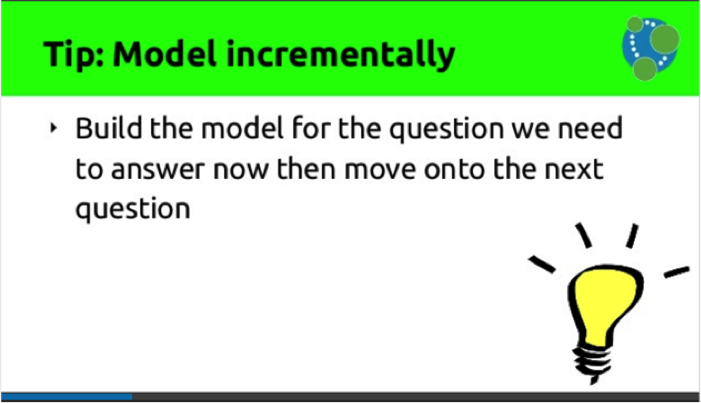 Now we come to the actual data modeling part. If you’re use to the relational style of data modeling, you’re already cringing and thinking of tabular, physical models. You imagine taking the complex map of your data and all of its intricacies and cramming it into table after table. While this sounds like fun (*sarcasm), consider that graph databases were born out of the need to model data in a more intuitive way. Graph databases are designed to mimic the most natural way we tend to model data – the same way you would map it all out on a whiteboard. Your collection of circles, boxes, lines and arrows is – in essence – already a graph. The next step is learning how to code this data in an agile manner that will accommodate the ever-evolving business and user needs you know you’ll inevitably face. While this may not be a walk in the park, and there will be pitfalls you’ll want to avoid, we are here to help you navigate the way. Thankfully, we’ve got Mark Needham – a Neo4j field engineer – here to help you out. Last week, Mark presented this webinar on graph data modeling tips and tricks. He not only shares how to properly model your data as a graph, but also how to avoid pitfalls early on. 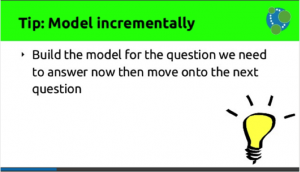 He also covers how to optimize your model for efficient Cypher queries. Mark Needham is a graph advocate and field engineer for the Neo4j team. As a field engineer, Mark helps customers embrace graph data and Neo4j, building sophisticated solutions to challenging data problems. When he’s not with customers, Mark is a developer on Neo4j and writes about his experiences of being a graphista on his blog. Ready to master the art of graph data modeling? Click below to watch this recorded webinar and discover expert tips and tricks to help you create robust graph data models with ease and efficiency.